Just inside the Greenwood Gate of Sea Pines is a community with a distinctive personality called Club Course. Club Course is a neighborhood that is made up primarily of single family homes with wooded, golf course or marsh views. Because of its location, away for the resort activities, the Club Course neighborhood enjoys quiets streets which residents enjoy by taking long walks, exercising their pets and biking. 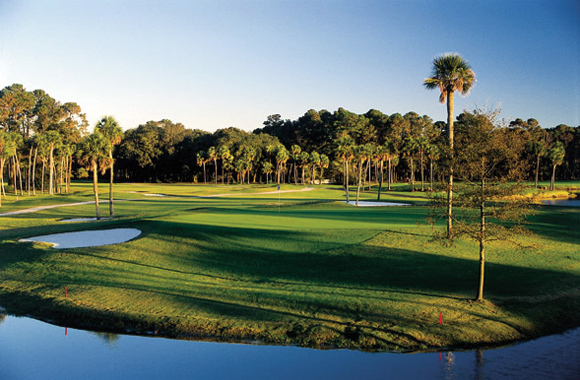 At the center of the Club Course community is The Sea Pines Country Club. This private club offers tennis, golf, dining, work-out rooms and a beautiful pool overlooking the marsh. The homes in the Club Course area tend to be occupied by fulltime residents who enjoy the neighborhood feel of this community. Club Course also offers one of the few patio home options within Sea Pines. These homes make excellent starter homes, retirement homes and second homes.